You tend to pick up a lot of neat items when you spend your life on the road. After a certain point, you might need a place to put all of it. With an incredible storage capacity, the Adventurer Backpack is definitely for travelers! 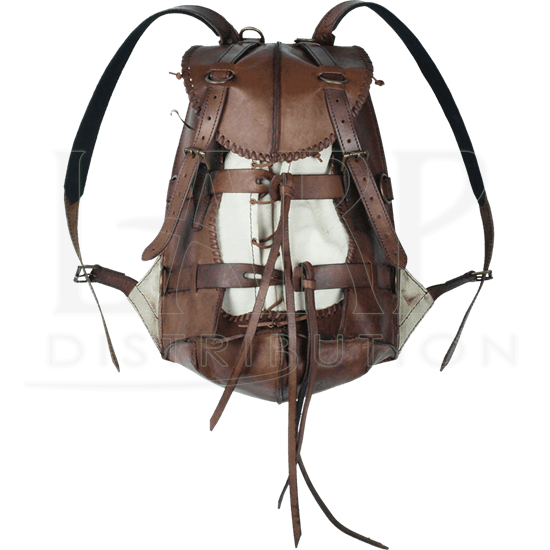 Made from full-grain leather with an inner bag made of canvas, this backpack is a must have to bring along to all your LARP, SCA, and Period style camping events. The leather that encloses most of the canvas bag comes in black and dark brown, keeping it secure with adjustable straps. The inner canvas bag laces up with leather ties and the top flap closes and secures by two adjustable straps with buckles. There are multiple d-rings located on the backpack that can be used to tie camping gear on, like small pots and pans, lanterns, pouches, etc. 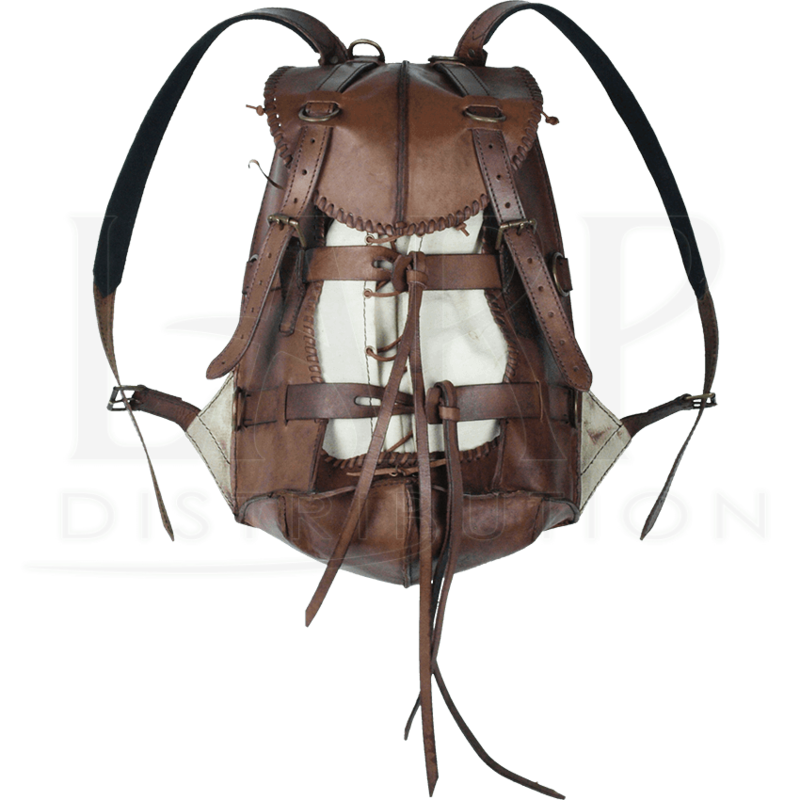 Add some extra storage to your next costume or cosplay with this epic, adventurer friendly backpack!